A ‘Golden’ Mystery With More Twists Than A Snake On A Tilt-A-Whirl! Synopsis: 1920 – Former British soldier turned republican fighter Liam Mannion is on the run with a price on his head. He looks up with old comrade Ernie Wood, who is being lured back to the battlefields on the Western Front in search of lost gold. The source of the story is Liam’s former lover, Sabine Durer, who ran a soldier’s bar close to the front line. Blinded by thoughts of her and buried treasure, Ernie and Liam enlist three other ex-soldiers to find it. What starts out as a simple excavation soon becomes much more. Wartime memories and old rivalries are resurrected. The men discover that Sabine has not told them the whole story and that their lives are in danger, but who can you rely on when greed and lust cloud your judgment beneath Flanders‘ fields? David Lawlor knows how to keep his reader in suspense! I was hanging on by my fingernails throughout this story of greed, lust, betrayal, and romantic competition. There are twists within twists in the plots that get more convoluted with every page. The ever-rising tensions, mistrust and intrigue caused me to miss meals, caused my coffee to go stone cold and had me walking as I read to avoid falling asleep! I wanted to know, ‘who’s going to get that damned gold’? I got to know the main character, Liam Mannion, in Lawlor’s first book, “Tan”. He’s a very likable character, and this story builds on his past. I cared a lot for every one of the characters. I loved some and hated others. But, they all left an indelible impression on me. It’s a book I won’t soon forget and it’s my opinion it would look simply beautiful on the big screen! Lawlor’s descriptions are lush, and the dialogue is so natural I actually felt I was there in the tunnels with the blokes. The story is beautifully written, compelling and “unputdownable” and it should be on your list of books to read this year. 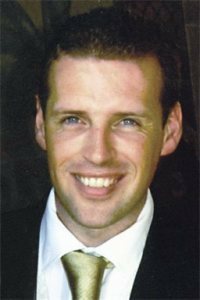 About the author: Associate Editor of The Herald newspaper in Ireland, David has written two historical fiction novels, Tan and The Golden Grave, set in the 1920s during the Irish War of Independence and following the character Liam Mannion. Lawlor lives in Wicklow, Ireland, with his wife and four children. After reading Lawlor’s books, you’re sure to want to keep up with his writings and you can at his blog, History With A Twist. Go check it out and follow him today! 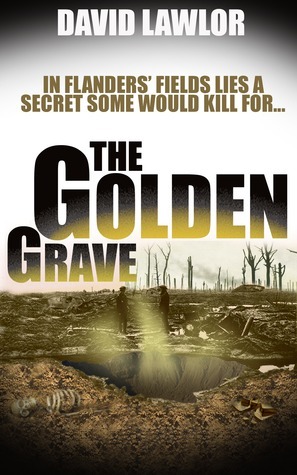 This entry was posted in Book Reviews and tagged book, David Lawlor, Fiction, Flanders, Gold, Golden Grave, Great War, Historical fiction, History, reviews, WWI, Ypres. Bookmark the permalink. 8 Responses to A ‘Golden’ Mystery With More Twists Than A Snake On A Tilt-A-Whirl! No worries, David. I could stand to miss a few more meals and you should know that coffee will be drunk regardless of its age or temperature… Now, you best be preparing something new; I just can’t think that Liam is finished! Oh, and we’ll talk about that snake one day! Very nice review, David. Congratulations. Wow…i’d love to read this sir Jim… kudos to this wonderful shot and yes sir David might have done this well on this amazing piece of art. Thanks for coming by and reading the review, Jon! I am very sure you would enjoy reading David’s book. Be sure to check it out when you can! Of course sir.. as you said readers enjoy reading as the writers enjoyed writing for it.